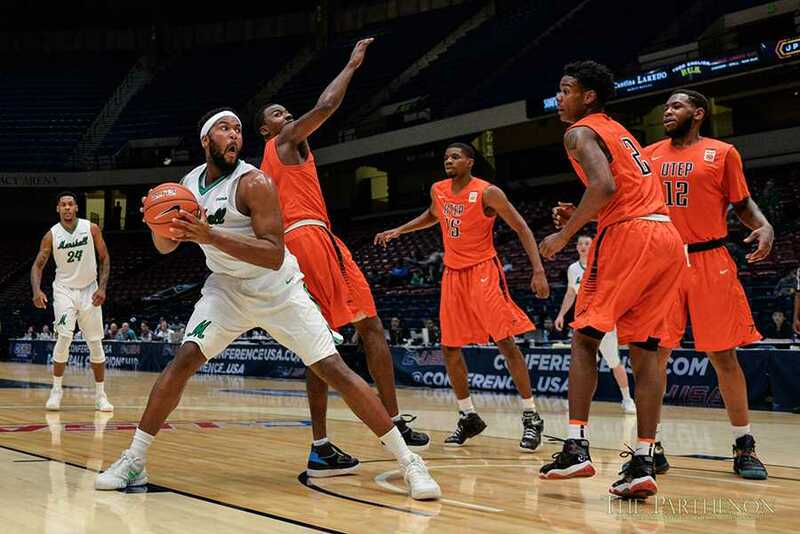 Marshall's Ryan Taylor defends the ball as the Herd takes on UTEP during the C-USA men’s basketball quarter finals on Thursday, March 10 in Birmingham, AL. 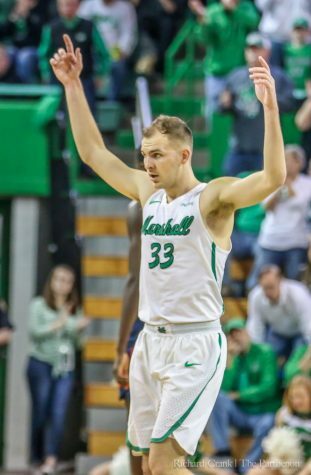 Ryan Taylor preserved and secured a Marshall victory in the Conference USA men’s basketball tournament Thursday. 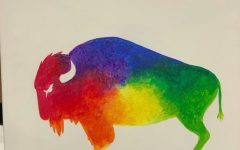 The junior forward acted as the team’s defensive savior with a block of University of Texas at El Paso’s guard Omega Harris on a shot where Taylor’s massive mitt was the only possible, though unlikely, deterrence of a Herd defeat. However, Taylor wasn’t finished for he had only preserved the possibility of victory for the Herd; he had yet to secure it. 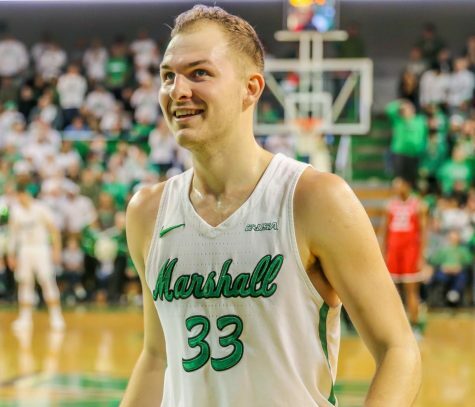 Following a timeout by head coach Dan D’Antoni with 14.6 seconds left, Taylor drove the ball right to the rim to lay it in with his left hand and give the Herd an 87-85 win and a berth in the conference semifinals. UTEP’s frantic attempt to go the length of the floor and tie or win the game went awry as point guard Dominic Artis lost the ball on the way up as the Herd bench stormed the court in a state of euphoria. 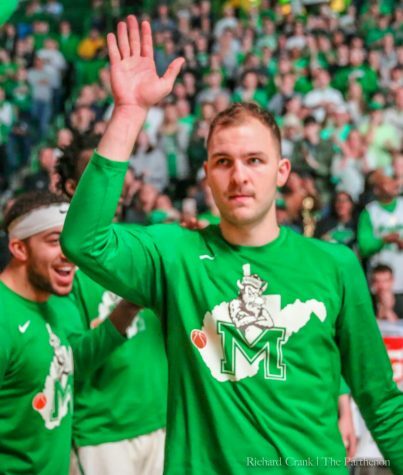 Taylor’s night, similar to his career at Marshall thus far, wasn’t a suave performance for its entirety as he managed just two points on 1-5 shooting in the first half. But in the second half, Taylor became the finisher and the player the program envisioned. Taylor’s pump-and-go drives combined with brute post work manifested in 19 second-half points on 8-11 shooting to go with nine rebounds. For the game, Taylor finished with 21 points and 14 rebounds. Taylor, wasn’t the only veteran Herd player to deliver a record postseason performance. 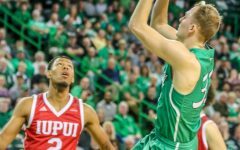 His fellow junior Austin Loop provided the scoring punch the team lacked with senior forward and leading scorer saddled with foul trouble in the first half. 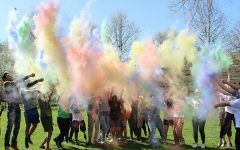 Loop buried a program postseason record six triples to finish with 18 points. In typical Loop fashion, his shot chart was nonexistent inside the arc, as all 13 of his shot attempts were three balls. Just like Loop, the team stayed true to its now religious-like devotion to the 3-pointer with D’Antoni’s squad uncorking 39 treys for the entire game despite hitting just 13 of them for a 33 percent clip. 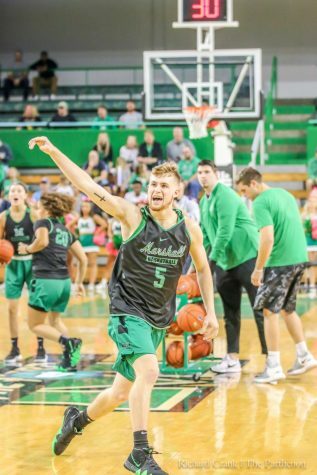 The 3-pointer as it has all season atoned for the Herd’s lackluster protection of the paint The team allowed 50 points in the paint with Artis slithering through Herd defenders and fellow guard Lee Moore jetting around the with his jitterbug-style quickness. 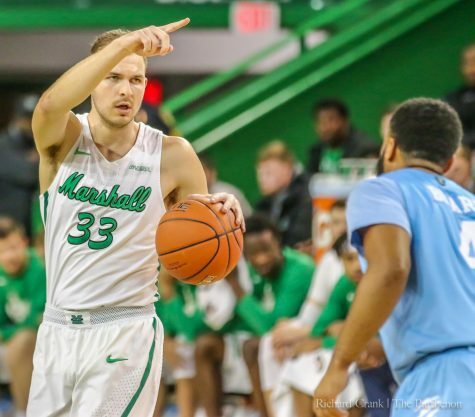 The Herd, meanwhile, scored just 32 points in the paint, but feasted on the offensive glass, snagging 18 offensive rebounds, which led to 19 second-chance points. Taylor certainly got his fair share, but freshman forward Terrence Thompson also made his presence felt as he filled in for Kelly admirably in the first half. Thompson finished the night with 11 points and eight rebounds and even drained a 3-pointer from the corner. After Thompson effectively took on the role of a temporary difference maker in the first half, Kelly started to find his groove in the second, throwing down alley-oop dunks and working high-low post dump offs to Taylor off shorted pick-and-rolls. 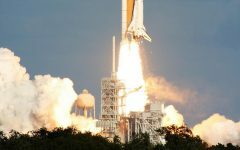 The back-and-forth affair was played at an electric pace as everyone expected considering the last matchup between these two teams escalated into a 112-108 shootout in Texas. 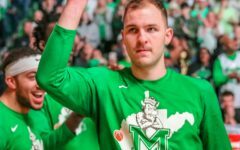 Yet, the Herd steadied by game’s end as redshirt freshman C.J. 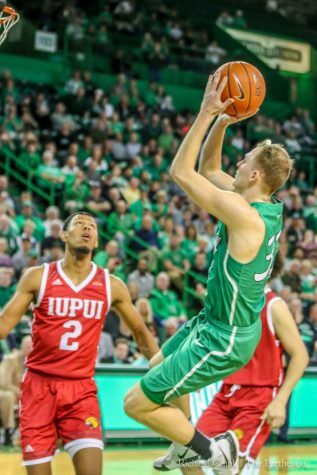 Burks hit two knee-buckling free throws to tie the game at 85 with 38 ticks left and Taylor catapulted the Herd into the semifinals with his two-way play in the game’s tensest moments. 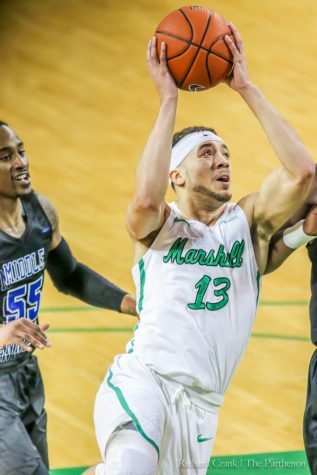 Marshall will take on Middle Tennessee State University in the semifinals 6:30 p.m. Friday.